GSAS holds two major auctions each year, plus a smattering of smaller auctions almost every month! 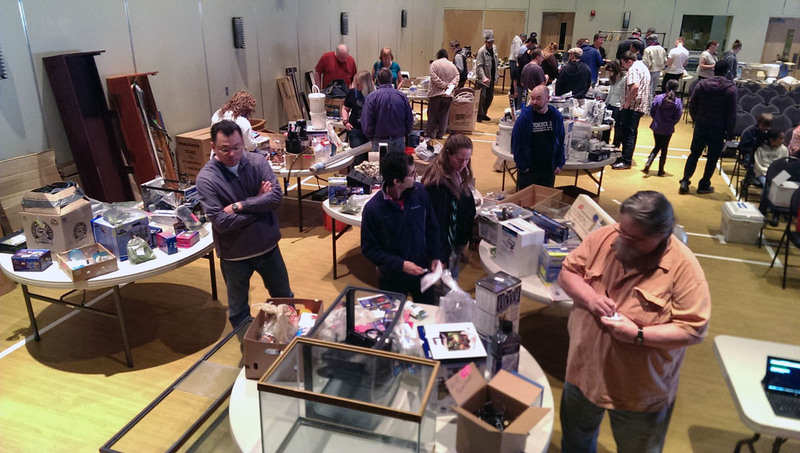 In lieu of the April meeting, the club hosts a monster blowout all-day General Auction. A mixture of donations from local and national businesses, and items from members, one never knows what is going to show up at the general auction. Brand-new big tanks, boxes of dust-covered old gear, unique fish... the general auction has it all. The general auction is the club’s largest single source of funding for the year, so the public is invited and encouraged to bid high and bid often! Recently moved to November, this meeting consists of a 3-hour Aquatic Plant auction (though in recent years we’ve also allowed fish and other livestock). The majority of the items are grown locally by members, but we also purchase a large box of wholesale plants from Florida Aquatic Nurseries by way of our friends at G&H Goldfish. 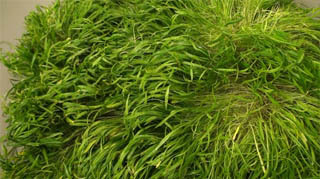 The plant auction is a great way to obtain a large variety and number of plants. Maybe you’re setting up a new tank, or deciding to get into aquascaping for the first time. We’ve got you covered! We do our best to quickly describe the requirements of the different plants, but your best bet is to bring a reference book if you want to know specifics. 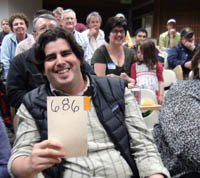 Steve Waldron bids on rainbowfish eggs at a GSAS monthly auction. At the conclusion of most other meetings (Christmas party and Picnic excluded), there is typically a small auction of items brought in by members. Great deals are often had at these auctions, because of the smaller crowd and pool of items. Nonetheless, they have become very popular in recent years, some rivaling our big auctions.